You know about protein and carbohydrates and pre- and post-workout nutrient timing. You understand the optimal rep range for hypertrophy, but there’s something holding you back. Maybe it’s recovery or the endurance to perform high-rep sets. Taking vitamins for muscle growth isn’t a shortcut, but a supplement to an intelligent muscle-building training and nutrition regimen. The research says it: vitamins for muscle growth can put you in a better position to see gains. And since they’re vitamins, they don’t come with nasty side effects when you take them properly, or show up on banned substance lists. It’s nicknamed The Master Antioxidant for a reason: It supports the health of every cell in our bodies by combatting oxidative stress. When Glutathione levels within a cell drop too low, that cell dies. Healthy cells can produce their own Glutathione, but production slows as we age and our demand rises due to lifetime free radical accumulation from stress and environmental contaminants. Glutathione assists in cell metabolic functions, including protein synthesis and amino acid transport across cell membranes, which is significant when seeking vitamins for muscle growth. In a recent study, researchers found that supplementation with Glutathione and L-Citrulline (found in numerous fitness supplements and naturally in watermelons) increased lean muscle mass in conjunction with resistance training in resistance-trained men. As previous studies had shown that combined Glutathione and L-Citrulline had increased the plasma content of certain molecules that may be involved in muscle protein synthesis, the researchers hypothesized that the duo would also enable gains in strength and lean muscle mass. 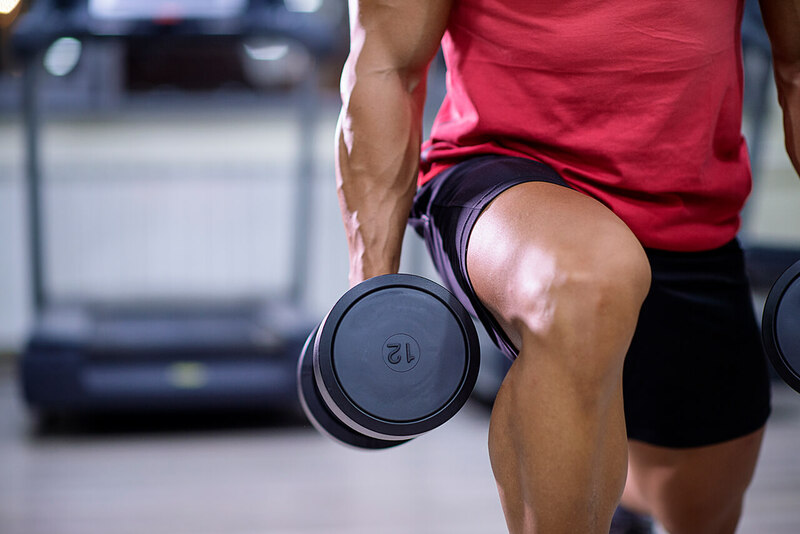 After 4 weeks of resistance training and body composition testing, the men in L-Citrulline and Glutathione supplement group increased lean muscle mass when compared to the placebo group. Glutathione is also essential in mast cells (which lines the nasal passages, throat, and lungs) and in white blood cells that are major components of our immune systems. Intense exercise causes our immune systems to take a bit of a hit, so it’s important to give it the support it needs so we don’t lose training days. A factor often overlooked in muscle growth training is the requirement for aerobic capacity. In order to achieve the high rep counts needed for hypertrophic training adaptations, you need a pretty decent cardio fitness level. In a 2007 study, researchers found that lessened antioxidants (including Glutathione) resulted in decreased exercise tolerance in bicycle exercise among patients with high blood pressure and normal heart contractile function. You can boost Glutathione production in your cells by eating a variety of foods and nutrients that supply one or more of its amino acid building blocks, support the synthesis of Glutathione, or spare the usage of glutathione stores by metabolic processes. Fitness nutrition staples like whey protein and glutamine help, as do garlic and sesame oil. Several antioxidants like Vitamin C, Vitamin E, Alpha Lipoic Acid, Selenium, and L-Carnitine support glutathione formation as well. A 2004 study showed that Alpha Lipoic Acid and L-Carnitine in combination were particularly effective in raising Glutathione levels. You can also get it more directly in dietary supplements, but before you go bargain shopping for glutathione tablets, there is a caveat. Because of glutathione’s three-amino-acid composition, when taken orally it is particularly vulnerable to breakdown in the digestive system before ever reaching the bloodstream where it can be distributed to cells. Taken intravenously is another story, as glutathione enters the bloodstream where it rapidly breaks down into its three constituting amino acids, which are taken up in the cells and re-synthesized into glutathione. IV infusions are expensive and impractical as they must be administered by clinicians, and clinics offering this service are rare. Liposomal Encapsulation offers a more cost-effective, convenient alternative as it protects the Glutathione throughout the digestive system to ensure that it reaches the bloodstream for distribution to the cells, making it a more efficient option when seeking vitamins for muscle growth. Like Glutathione, Carnitine has multi-faceted benefits when it comes to muscle health. When taken in combination with creatine and the amino acid leucine, researchers found it improved lean muscle mass and strength in older adults. It gets a lot of attention in the bodybuilding world due to a 2006 study that demonstrated that supplementing with Carnitine increased androgen receptor content which, as the authors write, “may result in increased testosterone uptake.” As androgen receptors facilitate testosterone’s role in protein synthesis, numerous experts in the bodybuilding community have concluded that more androgen receptors means enhanced utilization of free testosterone in the muscle fibers. The same team had earlier conducted a study in which their data supported the use of Carnitine as a muscle recovery supplement. Like the B vitamins and alpha lipoic acid, carnitine helps turn food, particularly fats, into energy. Because our carbohydrate stores are quickly depleted when exercising for long periods of time, the metabolism of fat is critical to sustaining energy levels. That’s why numerous studies have examined carnitine’s benefits in endurance performance. 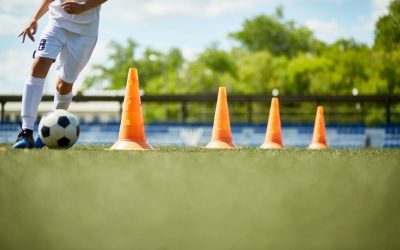 Researchers have found that Carnitine supplementation can help athletes to exercise longer without fatigue and stimulate the efficient use of fats for energy. 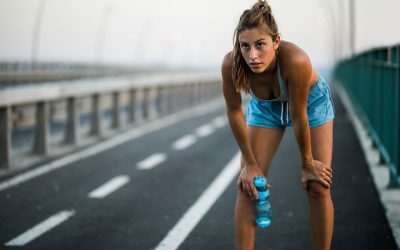 Other studies have shown that Carnitine improves muscle strength in endurance athletes, possibly due to its fat metabolism properties which can spare muscle tissue from being broken down to be used as fuel in long-duration athletic activities. The variation Acetyl L-Carnitine has been shown to help maximize carbohydrate metabolism, which can also be significant when seeking vitamins for muscle growth. Most importantly for the muscle-building enthusiasts who know gains don’t come with only partial effort, Carnitine has significant research behind it backing its ability to minimize the dreaded DOMS. Sure, Delayed-Onset Muscle Soreness signifies a session well done, but it also diminishes performance in subsequent sessions. It can be tough to get into the demanding squat position if your glutes and quads are feeling like rocks from lunging three days ago. That’s where vitamins for healthy muscle growth come in. 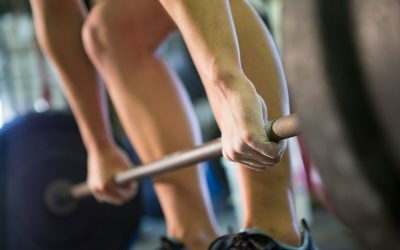 According to the researchers who conducted a thorough review of the glut of literature on the topic of Carnitine and muscle recovery, here’s how it works: “Muscle damage especially during eccentric exercise (active force generating lengthening contractions) is caused by immediate cellular and structural injury and subsequent biochemical responses during tissue repair. Alteration of muscle fiber sarcomeres and the surrounding tissue can cause long-term dysfunction so that the recovery process can continue for up to 10 days.” They go on to cite numerous studies that show how Carnitine’s function as an antioxidant can mitigate these effects by scavenging the free radicals (also known as reactive oxygen species) that form due to the muscle damage we incur from strength training. Like the name implies, Carnitine is prevalent in carnivorous foods. Lamb has the highest content, followed by other red meat, then poultry and, to a lesser extent, milk and dairy products. No surprise then that researchers found vegetarians have lower total Carnitine concentration in skeletal muscles than non-vegetarians. Our bodies also produce a minuscule amount of Carnitine, so it’s not a true vitamin per se. In his book The Carnitine Miracle, nutritionist Robert Crayhon, M.S. recommends that athletes seeking vitamins for muscle growth start by supplementing with 1,000 mg of Carnitine daily and possibly going as high as 4 grams/day. And unless you’re routinely eating the Old ‘96er, that volume of Carnitine intake is hard to come by through diet alone. Lypo-Spheric Acetyl L-Carnitine comes in convenient 1,000 mg packets that you can throw back in an ounce of water like a shot before meals. The Acetyl L-Carnitine variety offers the same properties as the L-Carnitine variety most often sought out by those using vitamins for muscle growth with additional properties that may support brain health. Because of its profound impact on cellular energy, Crayhon cautions against taking Carnitine supplements late in the afternoon as they may keep you up at night. 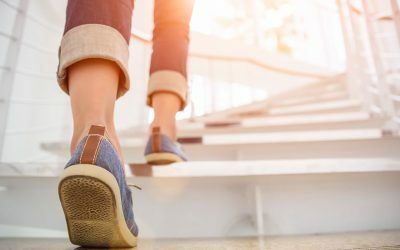 Numerous studies have shown that Alpha Lipoic Acid (ALA) increases glucose uptake in cells, meaning that you get the sugar you need to work out in your active muscles, not collecting in fat deposits on your waist. Due to this ability, multiple placebo controlled studies have shown that daily doses of Alpha Lipoic Acid can maintain healthy insulin sensitivity. Why is insulin sensitivity important when evaluating vitamins for muscle growth? Insulin moves glucose out of your blood and into the muscle cells where it’s needed to provide energy to move a barbell. If you’re sensitive to insulin, as your body is designed to be, the carbohydrates you consume will be used for their intended purpose: fuel. If you eat a diet with too much sugar and processed food, you send more glucose to the blood than the insulin receptors in the muscle cells can use. They treat insulin like the boy who cried wolf and stop responding properly, leaving excess glucose sitting in the bloodstream for distribution elsewhere. And your midsection looks more like a keg than a six-pack. Numerous studies have confirmed that Alpha Lipoic Acid enhances glucose uptake in skeletal muscle. So, it makes sense that a 2003 study found that ingesting ALA along with creatine and a small amount of sucrose increases muscle creatine content. In other words, it helps get your creatine supplement where it needs to go to stimulate protein synthesis necessary for strength and size gains without consuming as much sugar. In a 1997 study, researchers found that supplementing with Alpha Lipoic Acid increases muscle GLUT-4 content in rats. GLUT-4 is the receptor that transports glucose through the bloodstream to the cells. By increasing the content of muscle GLUT-4 receptors, it stands to reason that the more glucose can reach the muscles instead of fat cells. Your liver produces enough of it to assist with cell metabolism and get its antioxidant benefits. Unfortunately, like Glutathione, your body produces less of it as you age and you need it more. That’s why fitness professionals have been supplementing with it for years with doses no higher than 600mg/day. Alpha Lipoic Acid is easy to find in the supplement aisle. The problem is that most of the cheaper capsules use the synthetic (S) version of Alpha Lipoic Acid, which is not effective in helping our cells metabolize glucose and thus not an effective vitamin for muscle growth. 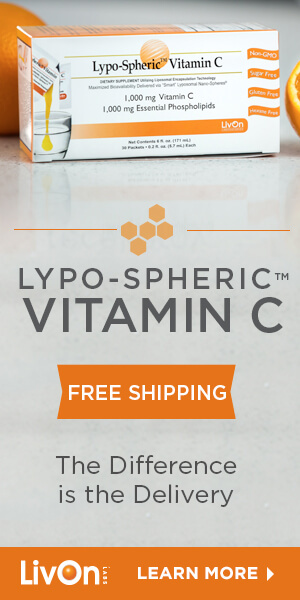 Lypo-Spheric™ R-ALA uses 226mg of the R variety of Alpha Lipoic Acid that is found in nature. Taking vitamins for muscle growth isn’t going to get you ripped without the reps. The research says that in combination with resistance training, recovery, and a muscle-building diet, supplementing with Glutathione, L-Carnitine, and the R form of Alpha Lipoic Acid can help you get more out of each rep. LivOn Labs offers all three supplements in liposomal encapsulated form for maximum absorption. They’re available in convenient, uni-dose packets sold in cartons as a month’s supply, so you can enhance your muscle-building regimen for just a couple dollars a day.